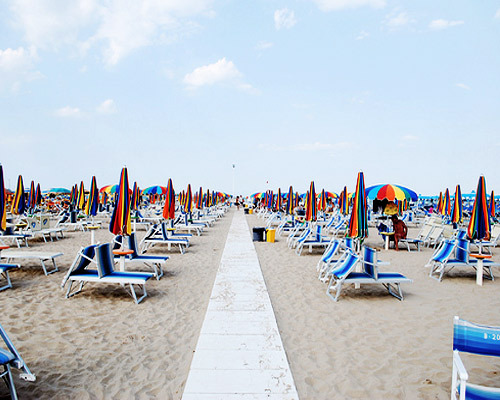 "Rimini is capital city of the Province of Rimini. It is located on the Adriatic Sea, on the coast between the rivers Marecchia and Ausa. An art city with ancient Roman and Renaissance monuments, Rimini is the hometown of the famous film director Federico Fellini. MAIN TOURIST ATTRACTIONS • The Augustus Arch, a Roman arch built to celebrate the Roman emperor who lent it his name • The Tiberius Bridge, the Roman bridge that marks the beginning of the Aemilian Way • The Domus of the Surgeon an impressive archeological area documenting 20 centuries of Rimini history. 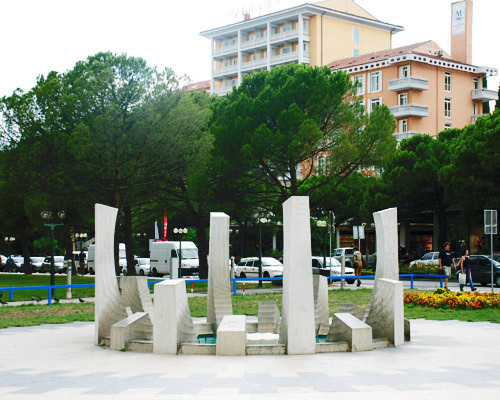 • The Federico Fellini Museum is located within Rimini's historic centre and is popular with both Italian public and foreign visitors alike. • Tempio Malatestiano."